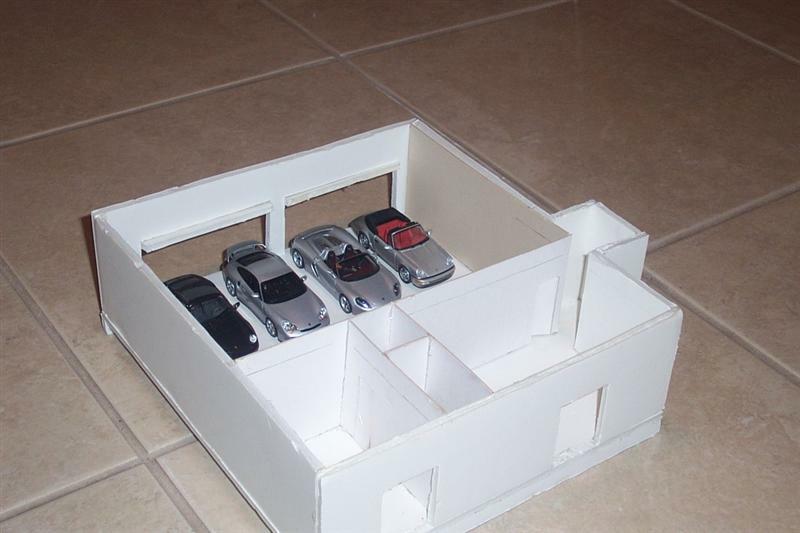 House = 650 sq ft. Garage = 1200 sq ft. Can’t get the Interstate in the garage so added it’s own carport. TN has no income tax but sales tax is 9.5%. 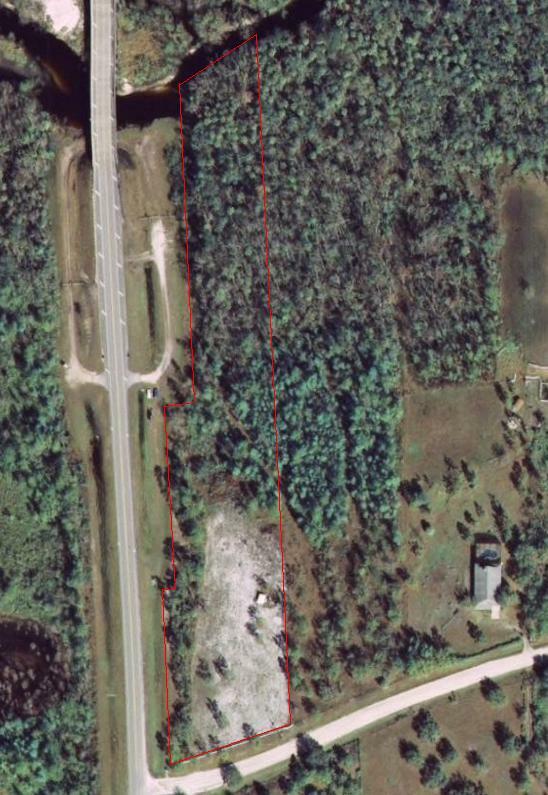 Our RE taxes is $600 for house, garage and 13 acres. 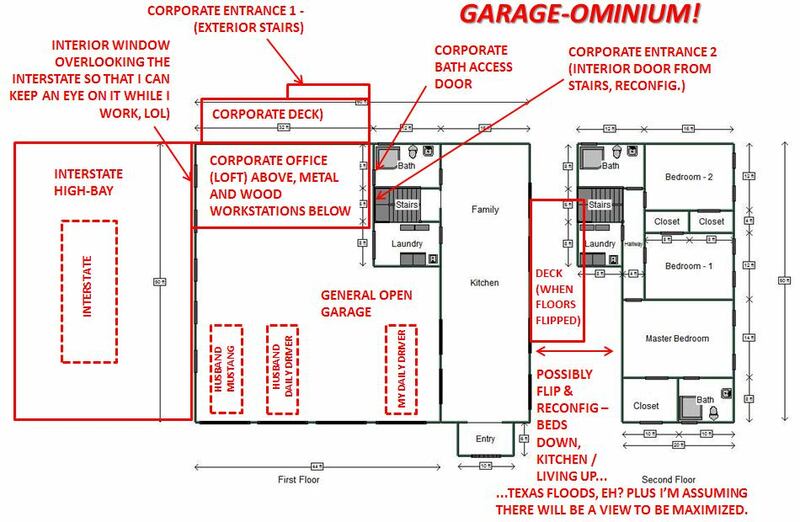 Obviously we've got a collection of truly great minds thinking alike here on the house:garage ratio. 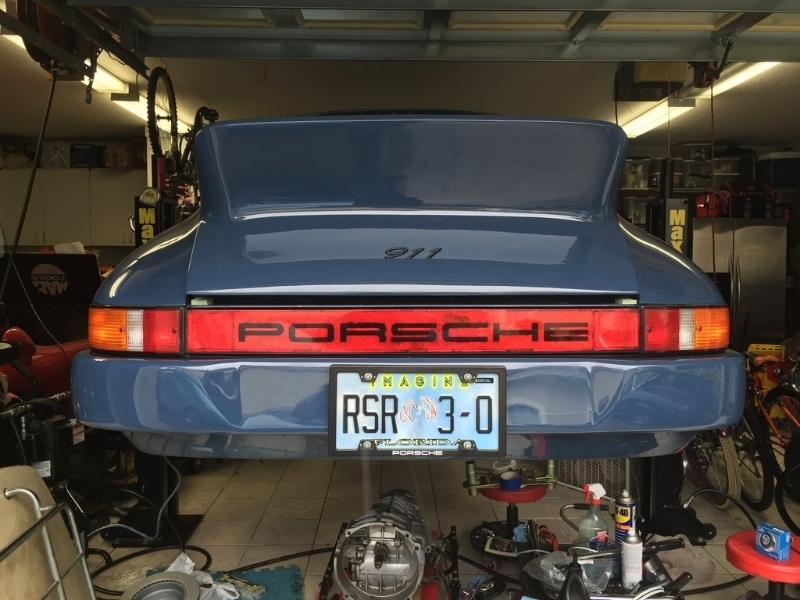 And speaking of garages and mods generally, there are mods we do to our Interstates, and then there are mods that we do BECAUSE we've done mods to our Interstates. Case in point on the latter. Through an unsatisfying sequence of events, we (1) ended up with not one but two de-installed Dometic refrigerators (blog post here). They both re-commenced working after we learned of the burping technique. We also ended up with (2) a de-installed but fairly new and perfectly good Lifeline AGM battery, expensive little sucker that it is. That because it was displaced by our lithium system. We also have (3) an ongoing dispute with Sears due to a Kenmore Elite refrigerator that is under warranty that they can't (or won't) fix. Even if we end up taking Sears to court, which is looking more and more likely, we will continue to have an ongoing interim need for a refrigerator. We also have (4) a very resourceful family member (LB_3) who is sick and tired of living out of just one of the two available Dometics, as we have been doing for three months now. We also (5) live in one of the country's most vulnerable areas for hurricanes. Put all that mess ^^ together and stir vigorously. What comes of it is shown in the attached photo of a work-in-progress. LB_3 got a wild hair yesterday and decided that he wanted to build a Dometic condo. Sort of like a cat condo, except for propane refrigerators instead of cats, and without the beige carpeting up the sides. It's going to have a roof that will hold a couple of propane bottles, and it will be trimmed out nicely. I will stain and seal it to look like an industrial chic piece of furniture. During the next big hurricane, we'll be able to run a sizable fridge capacity off-grid using propane, but in the meantime, we can plug in and double our current fridge capacity while we continue to do battle with Sears. This is not the kind of contraption that anyone in their right mind would set out to make intentionally, but given that we already own all the parts, it makes sense. 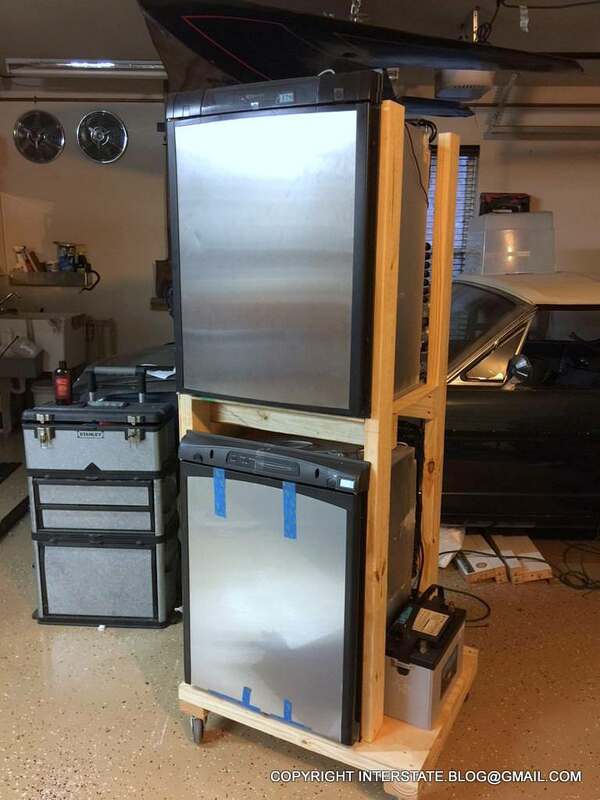 I had originally planned to sell one or both of the Dometics on Craigslist, but I would not get what they are worth, and we don't otherwise have a fridge in our garage, so here we are. This has wheels, too, so that it can be moved around as needed. I still tell my wife that for the new house I want something like what I wanted to build in the property... her reaction is always "what new house!!?? We are not moving!" 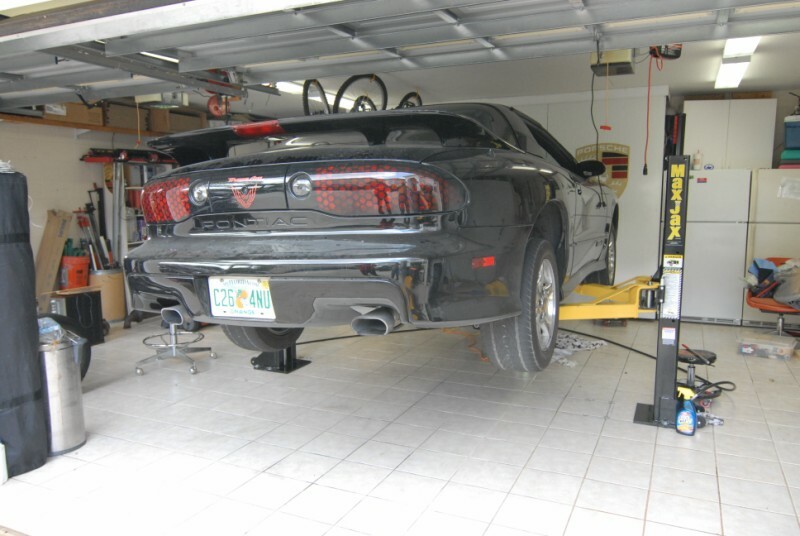 Not enough garage. But you'e getting close. 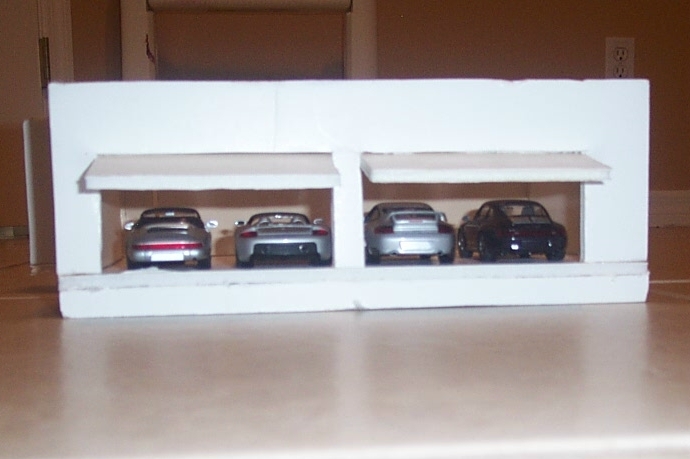 Those Porsche's need a home as much as you do. Your Kenmore situation is past ridiculous. Too bad the fix for your compressor fridge is not as simple as a "burp". Guess there is something to be said for the simple design of absorption fridges. Awesome recycling and reuse with the fridges! It is nice to have a garage fridge! 30x40 pole barn garage. 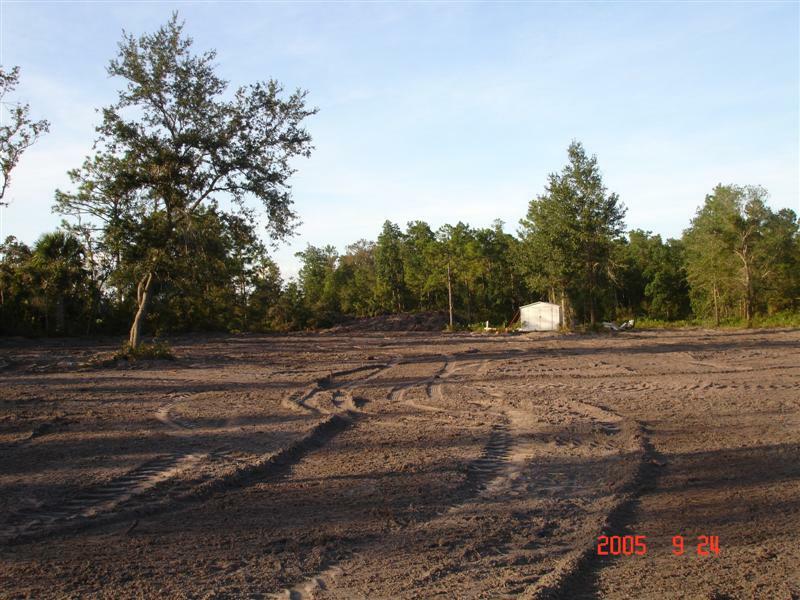 3 10’ bays and 1 10’ shop area. This is where the Goldwing lives for now. Thinking of converting this area into man cave. Sorry, all my Porsche’s were at the cleaners. 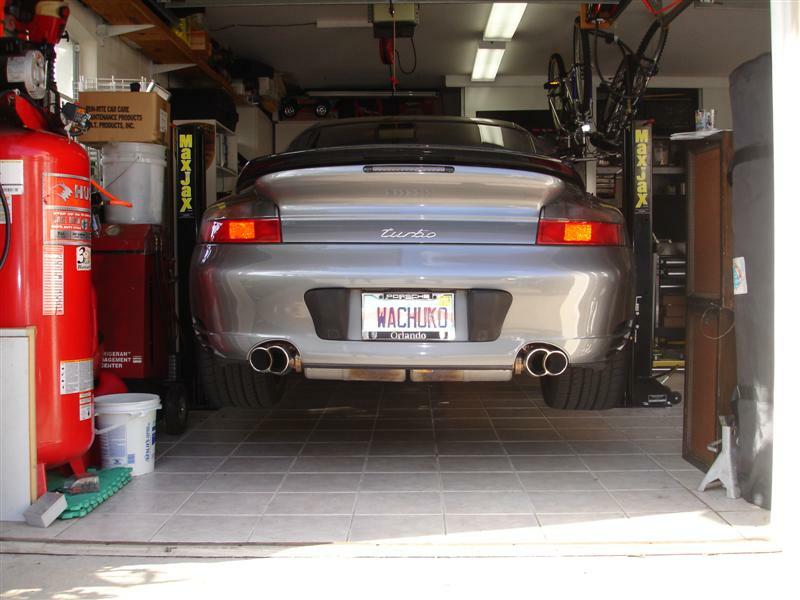 I don’t want to show my garage. 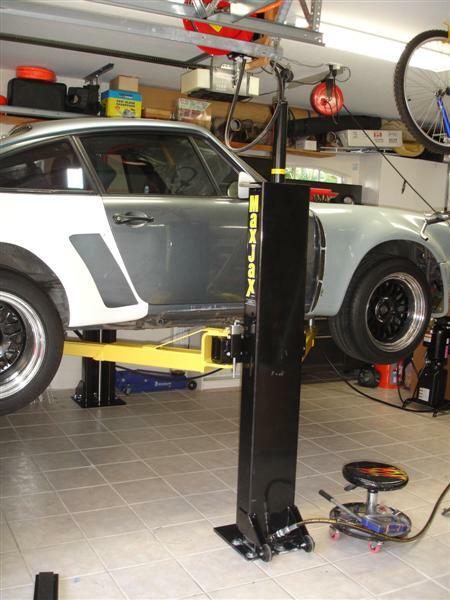 Two motorcycle full lifts, 3 welders (MIG TIG Gas) Press, SnapOn rollaway, a BUNCH of motorcycles (2 waiting restoration, 1 in the middle of overhaul), air compressor, spares for all the vehicles (fairly well organized), ‘cherry picker’, wheel balancer...dang. Plus all the usual ‘garage’ stuff. Too hot the last couple of days to do much later in the afternoon (for me). I just mowed the law, already 68º out there! Cooking! (It has been in the 80’s which is darn hot for here). Ha! Notice how far away I am taking the picture? There is a good reason for that. 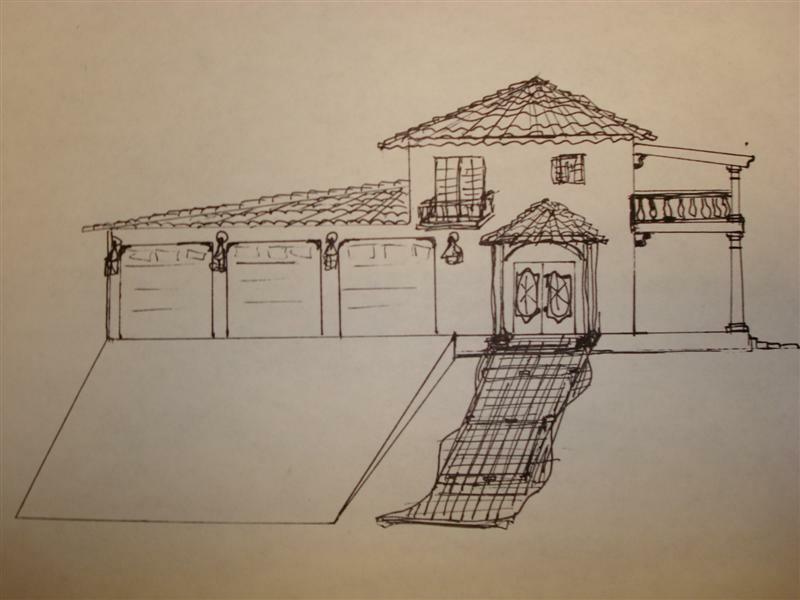 I’d like to modify the roofline over the middle garage and add a 10’ tall door. OK, this is *NOT* what I need to be doing right now. But who can resist? Great plans by Wachuko. Ours might look something like this below, to account for my offices. 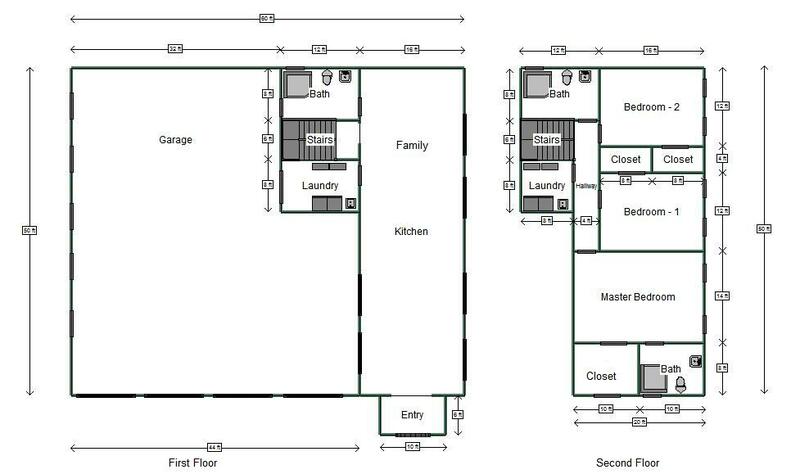 In our original thoughts, the garage would be 100% of the lower floor and the house would be much of the upper. But that might make for a bland elevation. Would be relatively cheap to build, however. 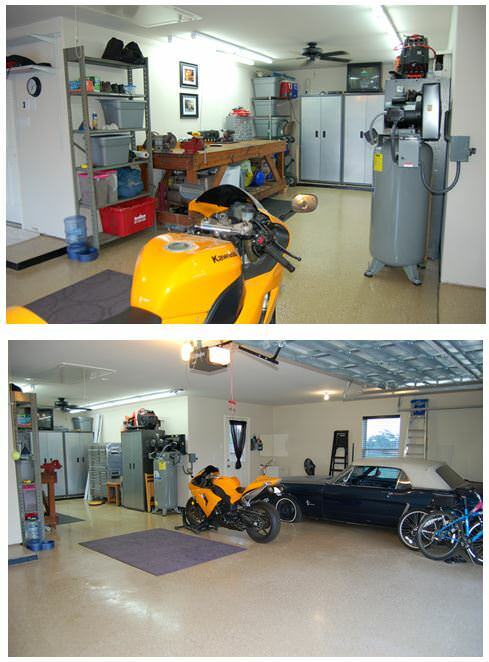 Our current garage, but pics taken several years ago before it got destroyed by a multiplicity of projects. Generally it now looks like a bomb went off in it. Bomb or not, it's too small. The sobering part is that there's no easy way out of our predicament. The repair techs we've had are all in agreement that a LARGE fraction of newer fridges are failing. They claim that the design changes demanded by environmental regulators made them far too twitchy and failure-prone. So even if we wanted to eat the $2K or so we spent on this one, there's probably nothing to buy that would be more reliable. We might get right back into the same financial hole with a replacement. So in the name of mandated "energy efficiency", we are now running two propane fridges on AC instead of one "super-efficient" compressor fridge that simply will not work. I won't bother doing the math on what the Dometics are eating, energy-wise. But that's another reason why LB_3 decided to build the Dometic condo. We might just say to hell with stick and brick refrigerators generally, and use the ones we know are working. We've been doing it for three months already. It is becoming routine. Moral of that story: If you have an older fridge in your house that is still working, don't trade it in for one of these newer pieces of crap. These fancy next-gen fridges are now in the range of $1,500 - $3,500. In our experience, you might as well take that cash and throw it out your window for all the good its going to do you to spend it on one of these. Make Sears take it back and buy one from Ikea. They don’t make their appliances but they do carry a 5 year warranty. We had one and it was wonderful.